This article, originally written  in Arabic by Elham Barjas, was first published on the site of Social Media Exchange  (SMEX). Nadine Saliba translated  it into English  for the same website. 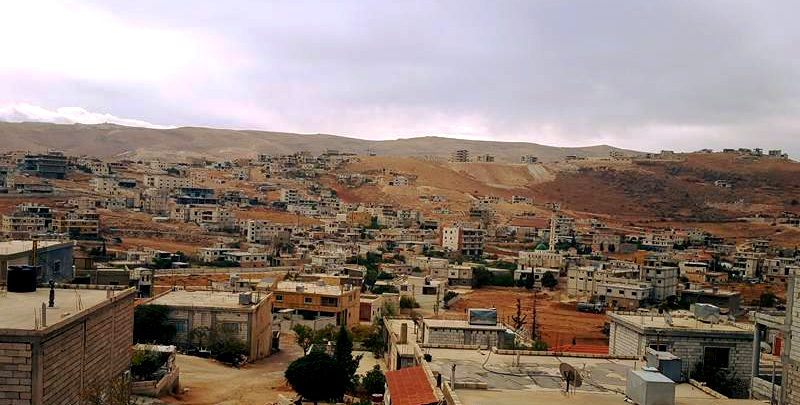 The residents of the Lebanese town of Arsal have been without access to the 3G and 4G mobile networks for over two years. This measure, taken for security reasons according to government officials, has placed a significant financial burden on the town’s residents. In August 2014, fighters from al-Nusra Front (affiliated with al-Qaeda) and the Islamic State in Iraq and Syria (ISIS) raided Arsal and kidnapped 27 Lebanese soldiers and a member of the Lebanese security forces, holding them hostage in the hills of Arsal. According to local civil society activists, 3G and 4G access was cut off by mobile telecom operators Alfa and touch after the raid, affecting the 160,000 residents of the northeastern border town, comprised of both locals and Syrian refugees. For the past two years, Arsal has been physically cordoned off from the rest of the country with checkpoints and heightened security measures. Being without mobile Internet has not only inconvenienced residents — it also left them with reduced access to emergency services and information when they need it most. Khaled Rifai, president of a conglomerate of civil society organizations in Arsal, made inquiries “on behalf of the community” to the two telecommunications companies in 2016. He was told that “the decision was taken by the Lebanese state and is therefore not in [the telcos’] hands”. He then contacted the then telecommunications minister, Boutros Harb, who confirmed that the blocking of this service is a security decision taken by the army leadership targeting Syrians living in Arsal. Harb also asserted that the matter is “not in his hands” either. He suspects that they feigned ignorance, in an effort to avoid having explaining why the networks remain inaccessible. Atrash also has observed that 3G and 4G services reconnect automatically as soon as he leaves Arsal to go to neighboring villages. Despite the lack of information from the government and local telcos, it is conceivable that authorities are seeking to limit the abilities of violent extremist groups to communicate with one another. This tactic has been employed in various parts of the world, often in response to heightened security threats — such as insurgent attacks in Egypt's Sinai peninsula  and the attack on Holey Artisan Bakery  in Bangladesh last summer — and to the detriment of the local population. Indeed, Arsal has witnessed repeated clashes between the Lebanese army and extremist militant groups since 2014. This has left residents not only subject to acts of violence, but also unable to convey news to the outside world. The Crisis Group, an organization providing analysis  of conflicts, has reported allegations of human rights abuse by security officers. Such reports become more difficult to corroborate and verify when those most affected don’t have the ability to easily communicate with others. Shutdowns can also have negative economic consequences. An investigation  conducted by Bahrain Watch in 2016 uncovered a pattern of internet disruption in the Bahraini village of Duraz, which the group suspects were tied to protests in the village of 20,000 people. The investigation revealed that ISPs were collecting overcharge fees amounting to nearly $279,000 per month from internet subscribers in Duraz alone. Since the raid, Arsal residents who want to get online have had only option: subscribe to IDM, the sole internet service provider (ISP) licensed by the state in the area. This means they cannot access the internet, except in their homes or workplaces, and have no access when moving around town. It also means they are subject to increased costs. As Atrash notes, despite not having consistent service, “I still activate the service monthly because I visit these villages two or three times a week and I use it there.” IDM’s cheapest plan, offering 2M-10GB, costs $12/month, in addition to the installation fees. In contrast, mobile plans for 24 or 48 hours (giving access to instant messaging apps) are as cheap as $1, allowing hourly wage workers to communicate with their loved ones in case of an emergency. In northern Lebanon, where poverty rates  are among the highest in the country, IDM services are simply too costly for many residents. Is this legal under Lebanese law? Despite the absence of a provision that explicitly guarantees the right of access to the internet, the Telecommunications Law 431 (2002), which regulates telecommunications services, provides that internet service is part of public telecommunications services. This law requires providers of these services to ensure their access by all citizens and residents in all regions. Access to the internet, as a public service, is enshrined by law. This calls into question the legal basis on which the Lebanese state can deprive an entire town of a basic public service in the digital age.